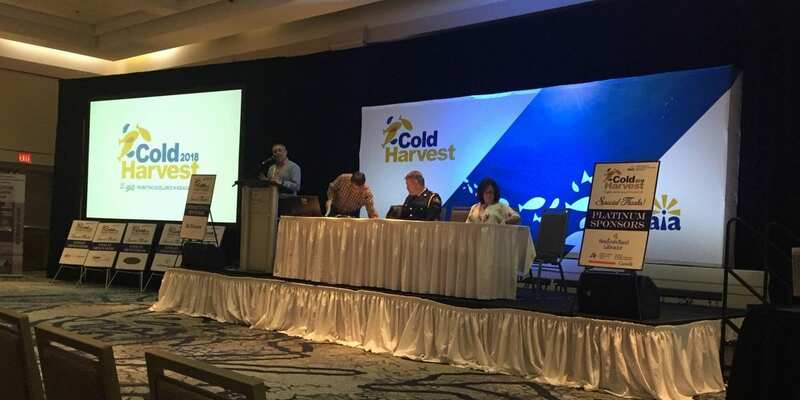 Ace Aquatec was invited to speak at the Cold Harvest Conference in St. John’s, Labrador, Canada. Our Head of Sales and Marketing, Mike Forbes held a presentation on ‘Innovations in Humane Electric Stunning’ and the Humane Stunner Universal (HSU); our unique in-water electric stunning system. Mike spoke about the numerous advantages that the HSU offers, such as the different species that can be stunned and the impressive quantity of over 100 tonnes of fish that can be stunned per hour.